In today’s business world, where the quantum of business is too large, enterprise software is the one of the key factors that sets the business operational functions on and going. The term denotes computer software with a multi-disciplinary approach, from accounting, billing, and order processing to security system of the enterprise, that runs the whole computer-based business house. Unlike individual or small business concerns, here the parameters dealt are so vast in number that the management resorts to the various enterprise software to integrate the activities within their concern and also to co-ordinate with other business groups as well as their valuable client network. Enterprise software, also known as enterprise application software has evolved leaps and bounds since its inception around the 1990s and today the entire world of business processes is run by large business establishments with the aid of enterprise software. By developing specific-purpose-oriented software, the enterprises stand to gain through increase in business logic functionality as well as productivity. Be it large industrial houses, schools, multi-specialty hospitals, governmental agencies, retailers or other business groups, the functioning in general will be based on specific modules or systems which should essentially be addressed. Email Marketing System, Call Center Support System, etc. These tools encompass the essential services of an enterprise such as procurement, production management and scheduling,energy management, customer database, feedback and also accounting. The Software loaded on a single computer network, provides simultaneous information and service to a number of individual users, thereby increasing efficiency of the manpower as well as productivity of the enterprise. An insurance company, who had a large client base, found on internal survey that more time is spent on collection of data, which shortens the time for proper data analysis. The decision-makers were quick to decide for a switch-over to a software solution which could do automated data collection and report generation. Thus they could get their employers to do a better analysis by taking enough time, and ultimately the enterprise was able to timely deliver the products with better man-power management. Depending upon the major functions of the business house, enterprise software is designed as a package to suite customizable programs. While introducing enterprise software it is quite possible that the functions of one will overlap the other. This is because of the interdependency of the various departments operated under one business establishment. By introducing enterprise software, the management is able to better govern the activities as all the required data is generated and made available for faster analysis and decision making. This is found to increase the turnover as well as predictability of the operational activities. Software applied to various disciplines, help for easy monitoring, measuring and reporting are needed so that timely intervention can be done by the management for remedial actions. Enterprise application software is employed in a company at various levelsand according to the need of the enterprise. Some companies will design and apply proprietary software applications that are developed in-house by an expert IT team within their organization. Some other companies will go for outsourcing some or all of the design and development of the necessary software and then apply it in their business processes. The recent and more prevalent trend is to get the service of ASPs, who are enterprise application service providers. The entire enterprise software is designed and developed by the ASPs according to the need of the business house and then leased out to them either as a hosted or on-premise service. Another method goes by the term "cloud computing", where cloud refers to a group of computers connected by the internet. Some business enterprises will opt to move a part of its infrastructure to a service provider who will develop the enterprise application software. This software services will be delivered to the enterprise through the internet as an on-demand service. Some enterprises will go for a combination of the systems, where cloud applications are integrated into the on-premise systems. 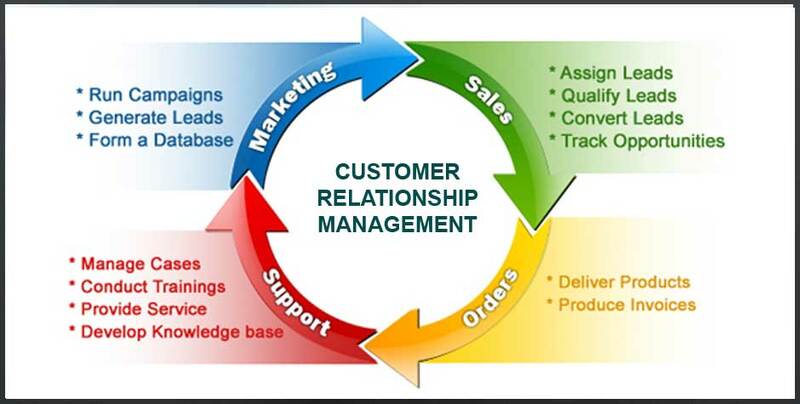 Managing customer relationship is the prominent goal of every business enterprise and CRM utilizes the database technology to track customer relationships so as to offer an impressive customer experience. Though all functions are oriented around the factor of customer satisfaction, marketing departments make use of CRM more often. ERP software is all about integrating the various departments of an enterprise to share the available resources and aid in maximum energy utilization. This is a perfect business management software that integrates various business disciplines like planning, development, production or manufacturing processes, sales, marketing, accounting and HR. The software comes as a package comprising enterprise software modules that specializes in a single area of operation. This software helps in pooling resources and putting them into maximum utilization, reducing the wastage. These tools help company managers and heads to be more informed so that flawless decision making is done at the appropriate time. 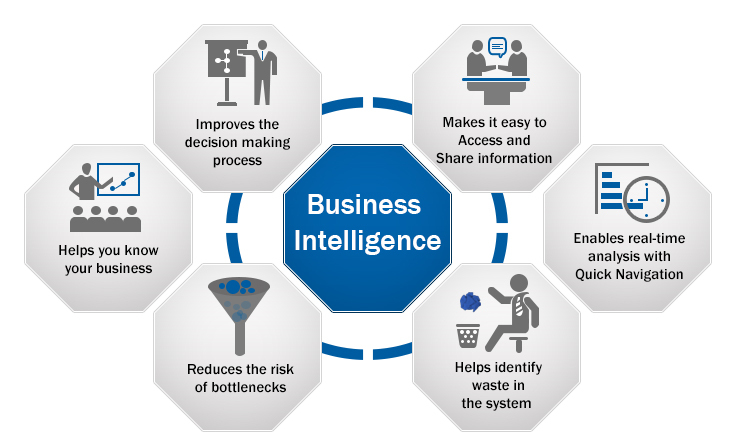 BI applications are intended to collect, store, analyze and provide access to data used across the business organization. BI software is aimed at data analysis through automation, so that the management can make strategic planning on the use of resources and delivery of products. In short, it is the organization’s intelligence software that facilitates looking into its strengths and weaknesses. SCM software is designed for the successful collaboration of the various links of the supply chain, right from the manufacturer to the end user. The software aids in the automation of inventory management, keeping transportation and logistics as key factors. This is an ideal tool for enhanced collaboration between producers, wholesalers and retailers. Enterprise software aims at the collection, display, and manipulation as well as the storage of vast and complex data, which in turn is used for the automation of the business activities. In order to achieve this end, various approaches have been introduced and still more are evolving with the changing trends in the business world.